This exclusive outfit speaks volume for its high class and elegant fabrication, as it has the all the artistic work done in to make it look super cool. 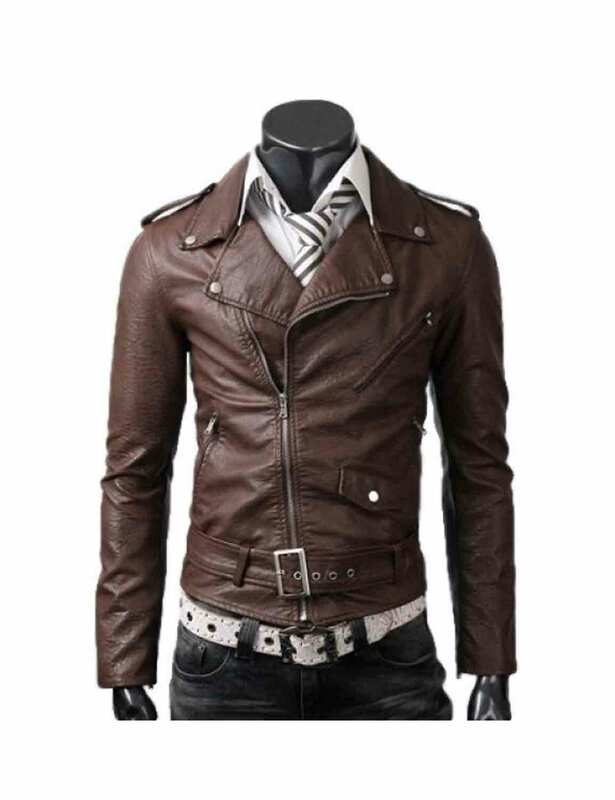 This Slim Brown Leather Jacket is the ideal dressing apparel for both casual and formal party wearing, making it a perfect duo wardrobe clothing. Its sophisticated yet modish appearance makes it first choice for the fashion lovers. It is confined with pure real leather material to give gentle and supple look, and from the inside it is made with soft viscose lining which makes warm and silky smooth. 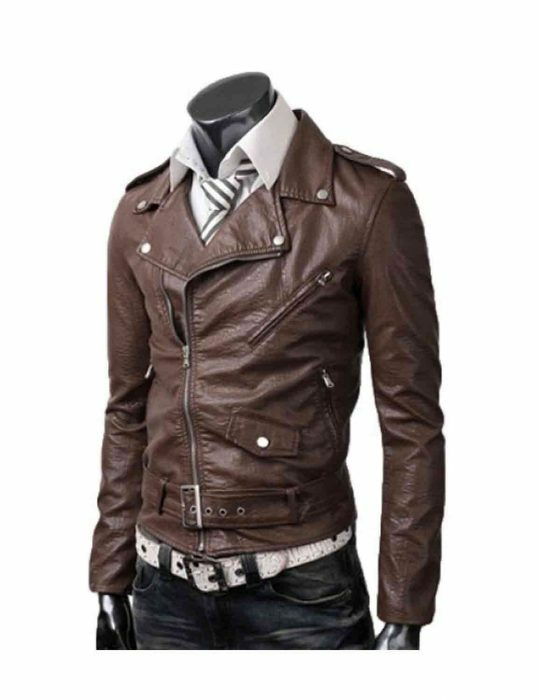 This Slim Brown Leather Jacket has creatively embellished snapped lapel notch style collar which makes it different from the other apparels. While its front closure is also comprised of Asymmetrical Zipped Closure which enhances its unique styling fabrication. 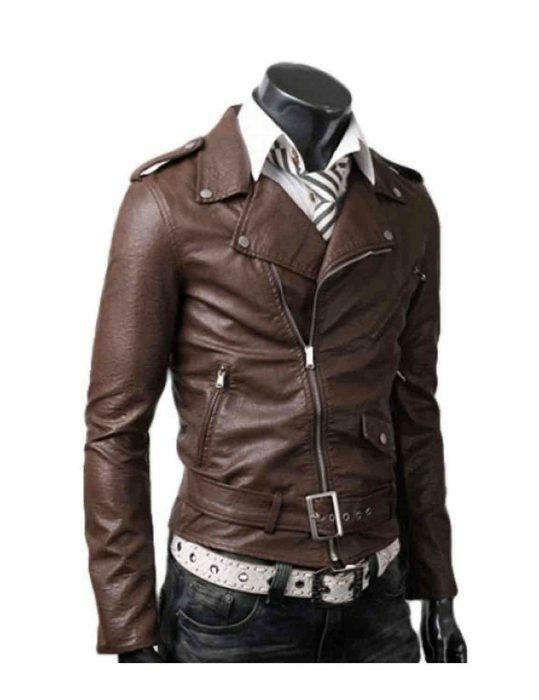 It has full length sleeves with epaulets on the shoulder and zipped cuffs. It has belted hemline near its waist and is available in striking brown color.